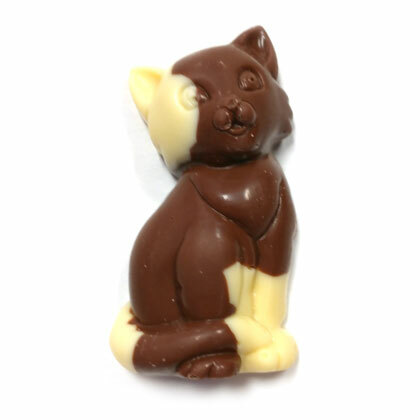 This solid milk and white chocolate lovable cat is the purr-fect gift for that someone special. 2.25 oz. Approx. 3.75 inches tall.